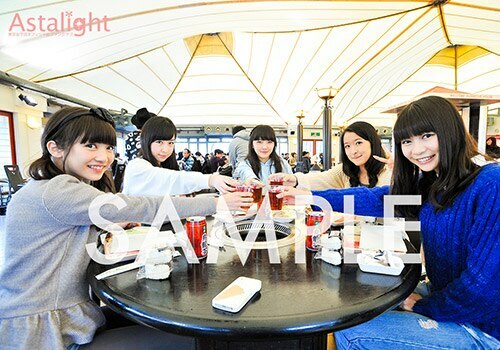 A sale of the official photo of the fan club event, "Winter Vacation of Astalight* in Osaka", has been decided! Sale of off shot photographs taken in December to place the fan club events last year "Astalight * of winter vacation in Osaka" was decided! BBQ, bowling tournament, we selected a lot of pictures of cute five persons photos at year-end party! Even those who are participating in the event, even those who are not, all fan club members can purchase. For more information about your application, I will update about guidance in the fan club site later. Please confirm a mail magazine sent from fan club on January 29th. It is also posted on the fan club website, "NEWS". *Both A course member (Free) and B course member (Charged) can purchase the photos. *Please make sure that you select the correct page since the selling page is different for customer who participated the event and for those who did not. *If you have not received the e-mail which contains an access code, please confirm the contents from Mail tab in Astalight* fan club website.